How would you like to learn about gambling payment processing from true professionals in this industry? Yes, you heard it right. You’re about to learn from the masters. As we have promised, every week we’ll choose one industry we know the ins and outs about and cover the basics of its payment processing. We have already discussed web hosting, and today we’ll explore specifics of gambling payment processing. Gambling has been on the arena for quite some time now. And it hasn’t lost its popularity among people worldwide. The size of the online gambling market is almost $38 billion. And it’ll keep growing in the future. As a result, more and more merchants and players will find interest in it making payment processing as topical as ever. All the gambling activities can be classified as either games of pure chance, or those combining skills and chance. Since we’re interested in online gambling activities note that in this article we’ll focus on payment processing of online casinos (25% of all the gambling market with mostly online slots), poker rooms, sports betting, lotteries, etc. What do merchants behind all of these gambling businesses have in common? They expect the same things from a PSP. Let us explain this to you. Since gamblers both pay money to be able to play and win cash in various amounts, merchants expect smooth pay ins and regular payouts. An ability to provide both merchants and gamblers with them will give you the head start before the competitors. Due to huge cash volumes inside the gambling industry, merchants expect the payment service providers to offer them various payment methods. Thus, wire transfers (like SEPA, SWIFT) can be a great solution for big transactions. However, it is also important to keep smaller transactions in focus and offer methods most suitable for them. Since gambling is an international business, it is vital for merchants to be able to accept payments in the local currencies using local payment methods not to lose clientele. Therefore, PSPs must ensure that they took local methods into account. This refers to both pay ins and payouts. Interesting fact: Gambling is especially popular on the emerging markets with ambiguous terms for gambling. Since merchants inside these markets have no access to popular payment methods, giving them an opportunity to process local payment methods is a must. One of the most important payout methods is prepaid cards. Especially the reloadable ones. With new technologies like Allied Wallet arising, gamblers don’t even need a bank account to be able to pay for gambling and receive money they win. 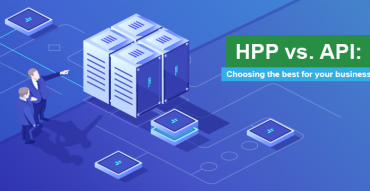 And it is in the best interests of the PSP willing to enter the gambling payment processing market to offer an integration with these technologies. 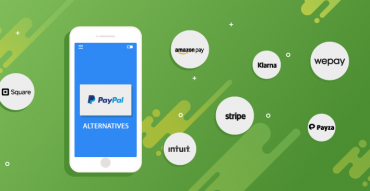 Yet another alternative payment method merchants expect to lay their hands on when opting for a payment service provider. However, not just any e-wallets. Before you establish what e-wallets you want to work with, research the geography of your clients to understand which of them they need the most. Besides, don’t forget that each e-wallet must have a relevant certification (e.g. EMI for European ones). These certifications will help you avoid tons of trouble with fraud and chargebacks. A lot of gambling merchants offer a subscription model of payment to their customers. And those PSPs that want to offer their services to these merchants must have recurring billing software in place. 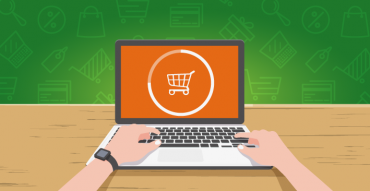 Recurring billing is often associated with different risks for merchants. That is why it is essential to offer not just recurring billing but also smart recurring. It allows making a partial withdrawal from the client’s account in case he doesn’t have enough funds, etc. Fraud and chargeback prevention system. Since gambling is known for its tainted reputation, it is only smart to have all the possible fraud and chargeback prevention systems in place. First of all, merchants will benefit if your company offers its own fraud prevention system. But they will also win if you take advantage of the outside software like Ethoca and Verifi famous for the incredible level of protection they offer. Integration with the biggest gambling platforms. Playtech and Microgaming are only two giants hosting thousands of online slots and other gambling activities online. And the more of them you can integrate, the better. Despite numerous regulations prohibiting gambling in certain states and in specific forms, it is still out there and thriving. And we’re sure it won’t go anywhere in the nearest future. Therefore, new merchants will come into being. Since payment processing is vital to their business, they will look for a reliable payment solution. With all the competition out there, the only way to stand out from the crowd is by ensuring that your company has everything they need to offer when the right time comes. Thanks for covering the basics of gambling payment processing. I am currently launching my first high-risk business and your copy was truly helpful.